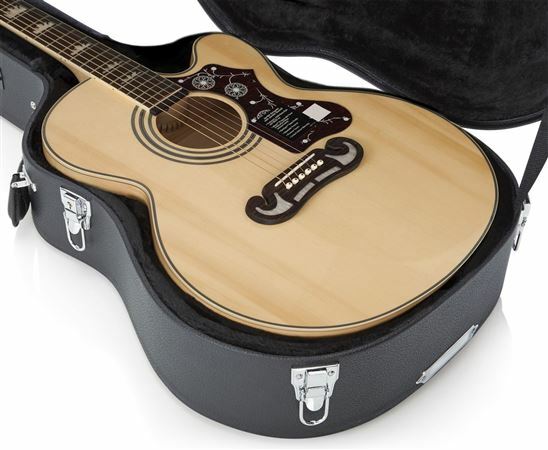 Shop Gator GWJUMBO Deluxe Laminated Wood Case for Jumbo Acoustic Guitars from AMS with 0% Interest Payment Plans and Free Shipping. The Gator GW-JUMBO is an insurance policy you cannot afford to pass up. 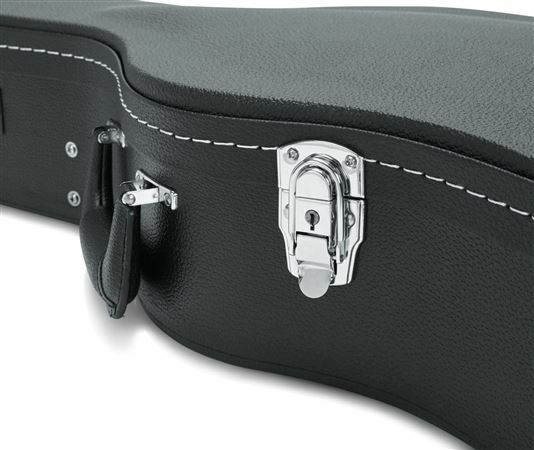 If you love your instruments, why not protect them like you do! 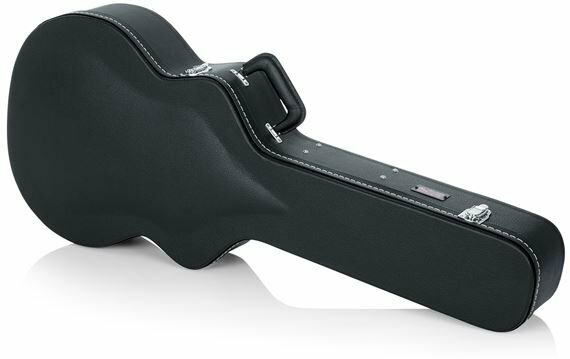 The Gator GW-JUMBO features 5 Ply cross grain Luan plywood construction for the ultimate shock absorption and protection. 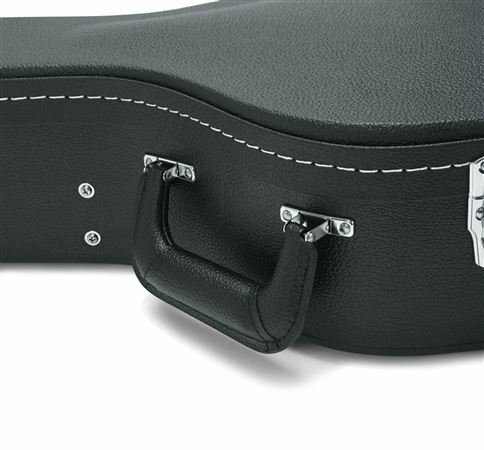 The padded interior guarantees your instrument is safe even under the most rugged conditions. 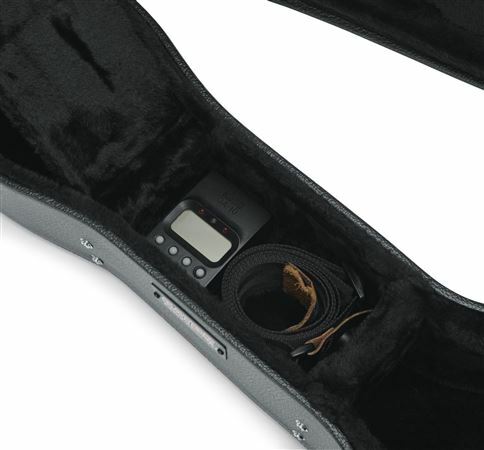 A storage compartment is provided to keep your necessities such as extra strings, pics, tuner etc. I Love this case it protects like it should, great fit. 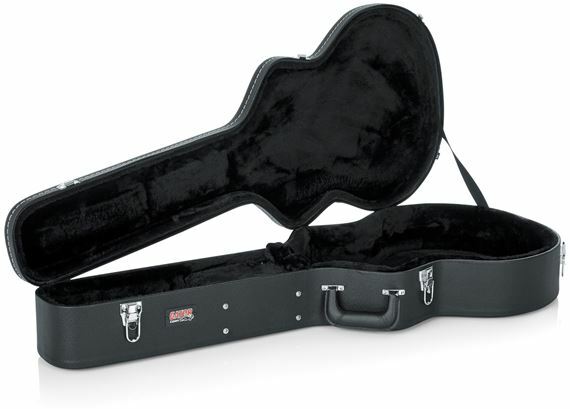 Fits my Gretsch jumbo falcon acoustic guitar better than the Gretsch cases made for it. 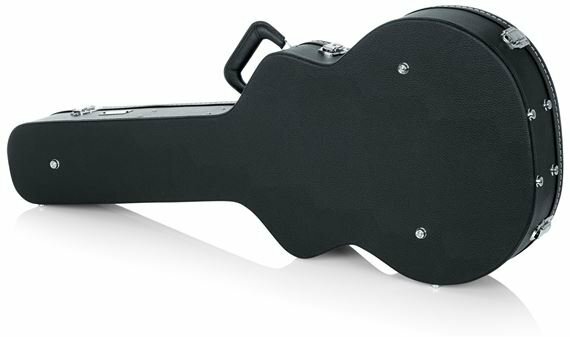 Had it one day when it was knocked off of shelf and fell about 3 feet to ground and never did any damage to guitar are case. Gator makes some of the best cases out there and this one is no exception. 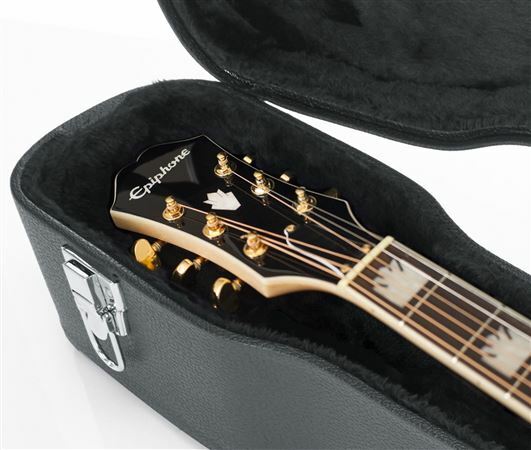 Fits my Epiphone J-200 like a glove and looks great too! The case is great. Guitar fits snugly and and is perfect. not a bad case .fits my jumbo 12 like a glove. I've owned a few of these cases over the years. They are well made and durable. Well worth the money !!! 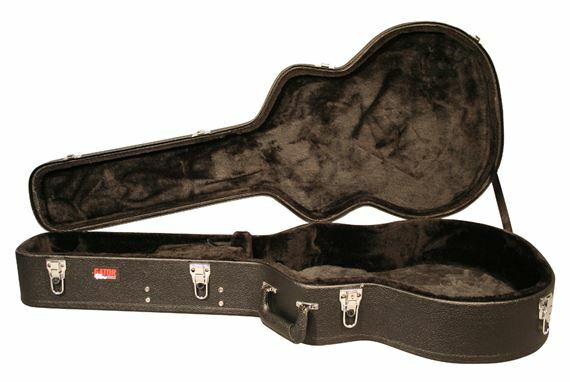 I purchased this case for a Guild 12 string jumbo and it fits like a glove !!! Well made and should last a very long time . 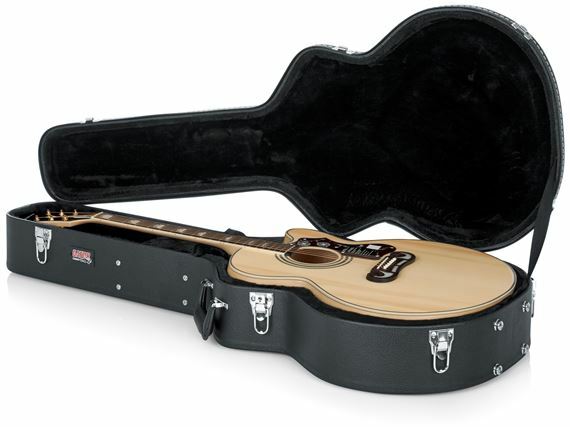 I bought the case to fit my Schecter Gates Synister Jumbo acoustic guitar. Fits like a glove. Great quality. Very affordable price. AMS is the best in delivery and customer service. AMS is my go to online store!